Product prices and availability are accurate as of 2019-04-14 11:30:59 UTC and are subject to change. Any price and availability information displayed on http://www.amazon.com/ at the time of purchase will apply to the purchase of this product. This is our brand new C shape side table, which is an perfect decor for your living room or bedroom. You can also use it as a decorative table beside the sofa to keep drinks, snacks or TV control near at hand. 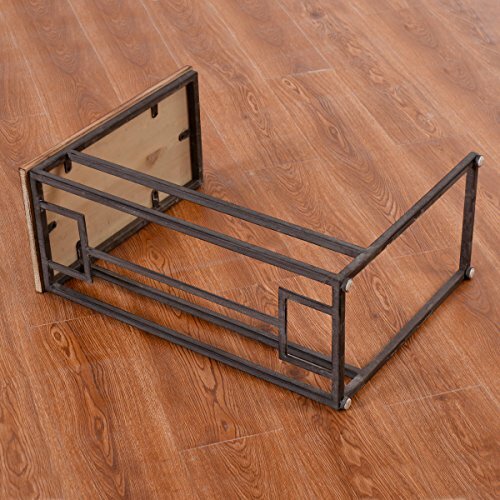 Constituted by engineering MDF and powder-coated steel, it is sturdy and durable. Dark color makes it seamlessly match with any furniture and fit into any room. You will be surprised by the durability and stability of this table! 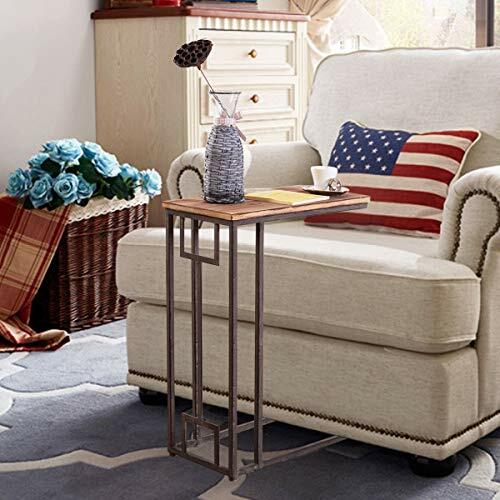 Enjoy a cup of tea or coffee with this side table. Buy yours today! 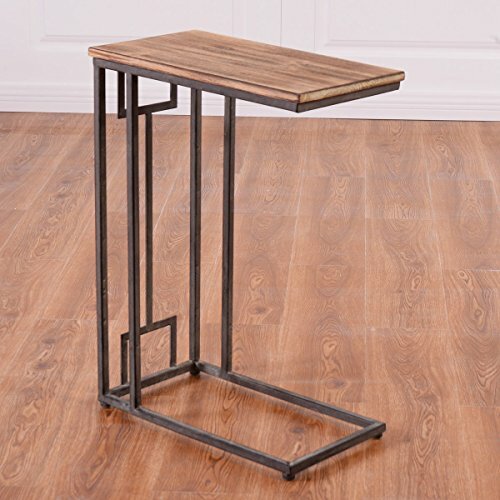 ?Functional Design?An elegant construction and finish, our side table is perfect for living room, office, dorm, and more. You can use it as end tables, lamp tables, decorative displays tables, or simply accent pieces. 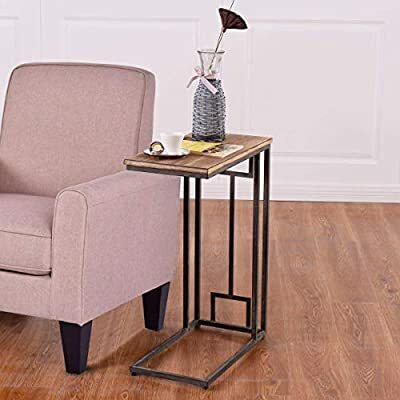 ?Strong Frame?Constructed with strong square steel tubing frame, this side table is more stable and durable for more years to use. ?Non-Marking?There are built-in non-marking feet caps under the legs so that it won't make scratches to your wood floor. 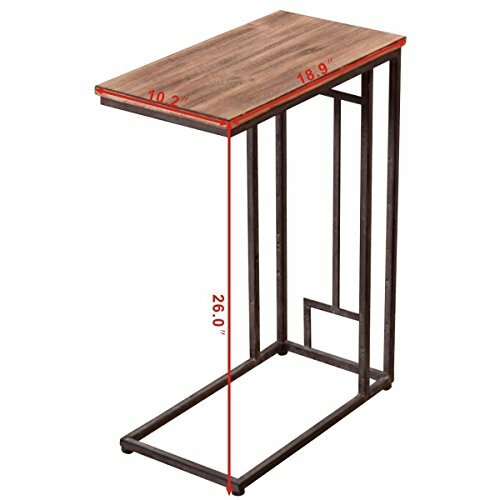 ?Space Saving?With compact design, our side table is convenient for storage, and it is perfect for small space, apartment and dorm living. 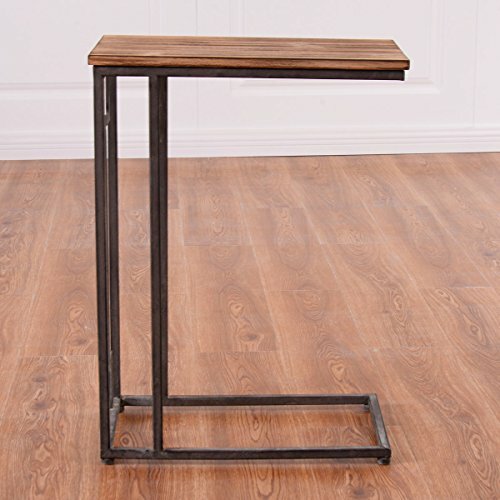 ?Easy to Clean?This side table is made of MDF top and steel frame, which makes it easy to clean with damp cloth.